Nutri NADH - Nicotinamide Adenine Dinucleotide plays a critical role in the electron transport system and energy production. Nicotinamide Adenine Dinucleotide (NADH) is the active coenzyme form of niacin (vitamin B3) and plays an essential role in energy production, carrying electrons from the citric acid cycle to the electron transport chain, ultimately producing ATP. NADH is also essential for synthesising brain neurotransmitters. 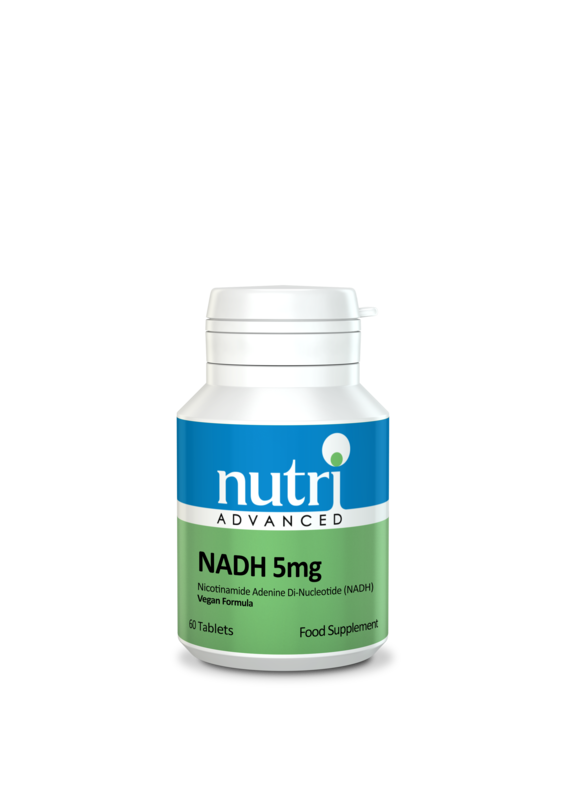 NADH is the reduced form of NAD, an important coenzyme in human physiology which plays a critical role in the electron transport chain and energy production. NADH is an essential cofactor in the synthesis of certain neurotransmitters. NADH is essential for the production of ATP (energy). 1-2 tablets daily between meals, or as directed. Keep refrigerated. 1-2 tablets daily between meals, or as directed.